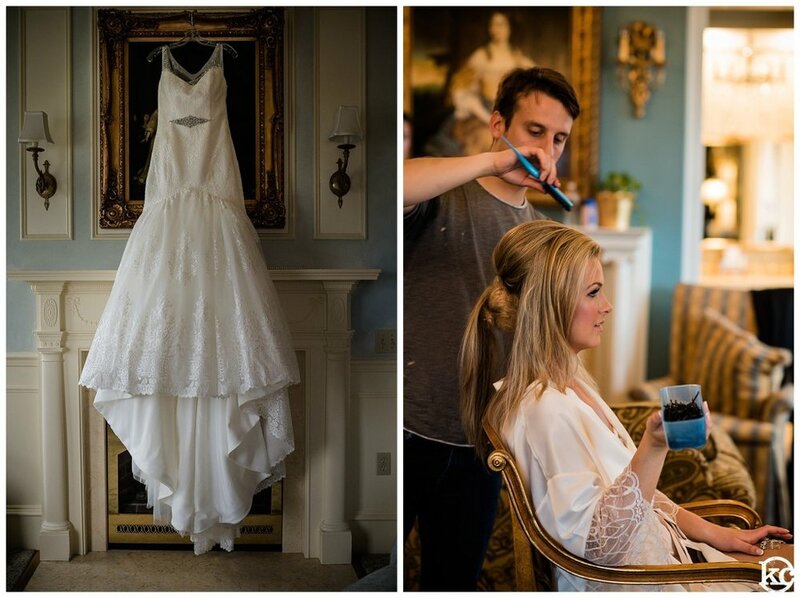 Tommy and Kristin were married on October 9th, with a ceremony and reception at the Chanler at Cliff Walk. These two met at Assumption College graduating just one year apart from each other—Tom was the class of 2010 and Kristin the class of 2011—and were on the same RA staff from 2009 to 2010, along with Kristin’s sister, Erika. The two girls had always had a few good laughs at Tommy’s expense, and he was such a good sport about everything that they became good friends easily and quickly. Then, in 2010, Tom started grad school and Kristin kicked off her senior year. All of a sudden, their friendship bloomed into love as they explored the crazy bars of Worcester, MA, together. After Kristin graduated in 2011, they made it official. When they were visiting Kristin’s family cottage in Plymouth, MA, on a mid-September weekend (they told me they were on a “summer’s not over until we say so” kick), Tom decided it was time to propose. They spent the day at the beach reading and then headed inside for dinner. While Kristin was getting ready, Tom “went for a run” before showering and came back REALLY sweaty, so Kristin thought his run must have been intense. But before dinner, they decided to swing by the beach, and Kristin found out the whole thing was a ruse—Tom had spelled out a giant, 40 ft. “MARRY ME?” with rocks in the sand! I actually got to meet Tommy and Kristin through Kristin’s best friend, Kevin, who happens to be a friend of mine, too. I loved their laid-back attitude, and after I’d gotten to know them a little better, I knew we were a perfect fit. I will admit, though, that I was a tad nervous about this wedding when the actual day came up, because it was the same day that Hurricane Matthew was going to hit Newport! I got an early start so that even if no one else was there but the wedding party, I was going to capture the crap out of it! There were tons of getting ready photos and just hanging out. Thankfully, the weather was somewhat cooperative, even if exterior photos were just not happening. That was a total bummer because of the incredible views and the grounds around The Chanler. Still, Kristin and Tommy were just happy to be married, so they saw this as just a minor obstacle—my kind of couple! 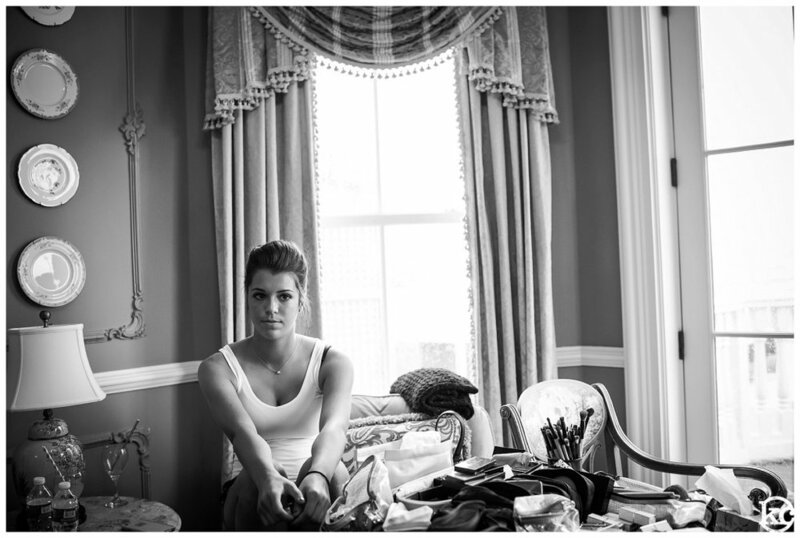 After we all squeezed into a room for the ceremony, my second shooter, Vanessa Walsh, and I set out to capture as many amazing images as we could with the space we had. I was able to whisk Tommy and Kristin away to play in the front entrance, where we made use of the space, a small bench, and my ice light. 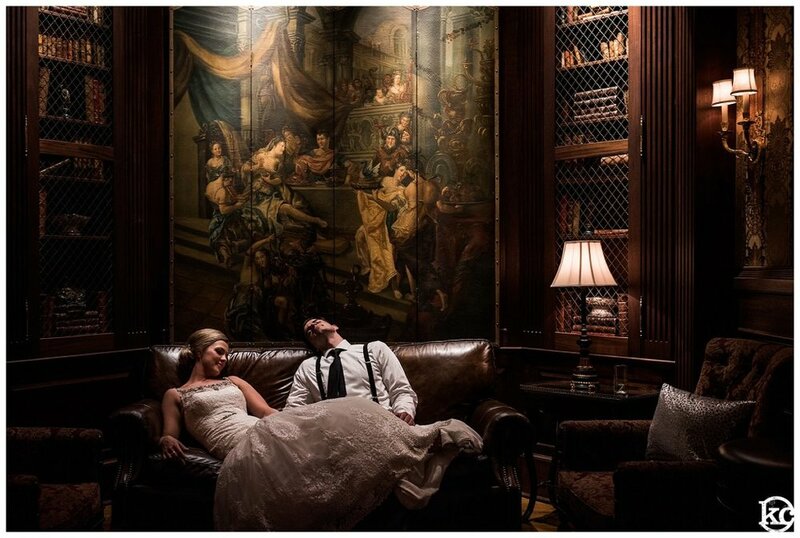 After a whole night of dancing, dancing, and dancing, I could see how exhausted they both were, so I plopped them on the couch with an amazing painting in the background and told them, “Just take a quick nap.” And boom: best end shot of the night. 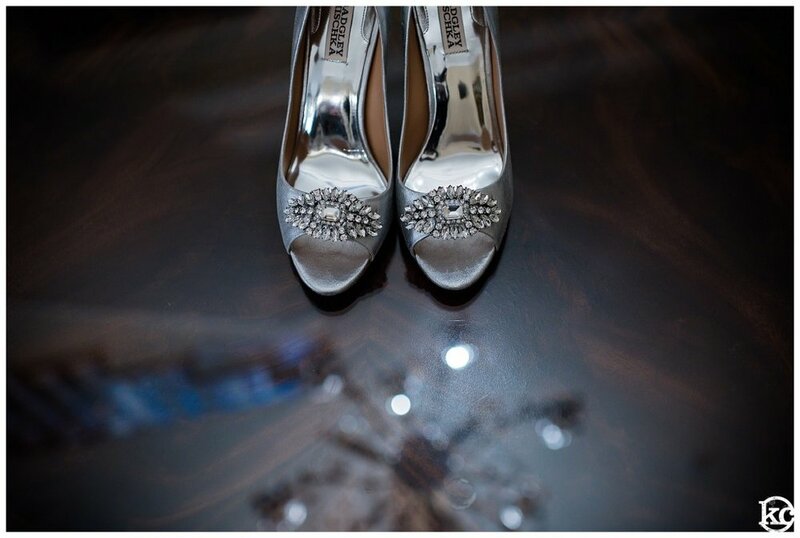 Kristin & Tommy, thank you for letting me be part of such an amazing day. Not only do you two know how to throw a party, but you are absolutely meant for one another in every way possible!